The United States is truly a vast and diverse country in many respects. Geographically, culturally and historically, various areas of the United States provide their own distinct pleasures and offer many fascinating things for travellers to discover. Parts of the American South are especially popular with travellers, both domestic and from abroad. Charleston, South Carolina is a major port city as well as a popular site for travellers. This southern belle of a city’s historic downtown offers numerous historical attractions for travellers to explore as well as a fascinating setting on a peninsula with two rivers, with nearby islands protecting the city from the ocean. While some other cities were devastated during the American Civil War, Charleston was captured without a great deal of damage, which means that historic Charleston remains well-preserved with buildings that are centuries old. That means significant sightseeing opportunities for travellers to Charleston. The city has a height restriction ordinance, which means that its skyline is dominated by a remarkable, modern cable-stay bridge and by church steeples rather than by unpleasant skyscrapers. While in the region, travellers will want to encounter the historic, pleasant city of Savannah, Georgia, which has a history dating back to 1733. The city was not torched during the Civil War, which means that the city’s remarkable historic artifacts were not destroyed. Savannah is, like Charleston, a city with a great deal of antebellum charm and historic architecture, with one of the United States’ largest historic districts. Enjoying a ride through the Blue Ridge Mountains is another essential aspect of a journey to the region, as this is a truly scenic route that balances the historical interest of a trip to the South with its natural splendour. Many travellers choose to end such a journey through history and the lands of the American South by travelling to Williamsburg, where the beginnings of America can be explored. An escorted holiday such as those provided by Newmarket Holidays is an excellent way to encounter the region’s splendour and history. Savannah, Georgia may be one of the most pleasant cities in the United States, while pretty Charleston also offers a number of fascinating sites. Travelling through America is not merely a matter of seeing the highly populated Northeast or the rugged West, as the country’s culture and natural beauty cannot be appreciated without making it to the South at least once. Each area of the United States offers its own types of pleasures and rewards to travellers. The Northeastern United States is a region well-known for being the country’s most historic and perhaps also its most famous in the international community. With cities like New York, Washington, D.C. and Philadelphia, this area of the United States has some of the most recognizable historic sites on the continent. The area’s history and culture also differs markedly from the history and culture of the states farther to the south, where antebellum architecture can still be seen. Any trip to the historic Northeastern part of the United States should include a trip to the capital city, Washington, D.C. This city is of course the seat of power in the United States and possesses some of the most well-known and treasured memorials and monuments in the country. The National Mall alone provides travellers with the chance to see the Capitol, the White House, the Lincoln Memorial and the Washington Monument. Washington has also changed over the past couple of decades from a city known for little other than its historical sites and political activity to a vibrant, international community that has a great deal of shopping and dining options, as well as nightlife. A guided tour is an excellent way to explore Washington, D.C. as sites of historical interest become even more worth visiting when a knowledgeable guide is present. 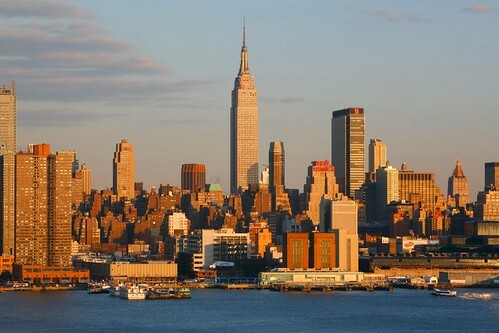 A stop in New York City is another essential aspect of a trip through this region of the United States. New York City is truly one of the largest in the world, with five boroughs that each provide entirely different experiences to both people who live there and to travellers. Travellers who wish to explore the region rather than New York City alone will have their purpose best served by a day in Manhattan, the most famous part of New York. Sites that may be of interest to travellers in Manhattan include the Empire State Building, Central Park, Wall Street, and Times Square. Legendary neighbourhoods in Manhattan include Greenwich Village, SoHo, and Harlem. There is no better way to end a trip to this region than a visit to Niagara Falls. The towns of Niagara Falls are in Ontario, Canada and New York State, and the natural beauty of the falls is legendary. Newmarket Holidays offers escorted holidays covering many attractions in this region. There are many reasons to visit the historic Southern states of the United States. States such as Georgia, Alabama, Mississippi and Tennessee have many sites of historical interest. Many travellers go for these, or simply for the area’s natural beauty and unique cultures. However, one of the main reasons that travellers from other places in America or from abroad enjoy holidays to these states is that these are the states that have given the United States its musical identity. Even the distinctly Detroit sounds of Motown have their roots in the jazz, blues, country and early rock n’ roll of the Mississippi Delta and surrounding areas. Artists known the world over, including such names as ‘Fats’ Domino, Robert Johnson, W.C. Handy, Louis Armstrong, Elvis Presley, Dolly Parton and Patsy Cline, have reflected the region’s musical innovations and styles, bringing them to audiences the world over. The birthplace of jazz music is New Orleans, Louisiana, an extraordinary city known both for giving birth to the true musical heritage of America and for such sights as the famous French Quarter. New Orleans is a city unique and distinct unto itself, with a cultural blend that is not quite reflected anywhere else in the States. People of varying heritage have always populated New Orleans and the city reflects that, with influences from French, Creole, Caribbean, Irish, Haitian, Vietnamese and German communities prevalent in everything from food to architecture. However, unlike some cities where different cultures exist but in their own areas, New Orleans, despite historical tensions, is a melting pot of influences. Memphis, Tennessee is another important city to visit for travellers interested in music history. It is most well-known for Graceland, home to Elvis in his later years and something of an Elvis shrine at present. However, Memphis is also regarded by many as the true home of the blues and boasts such famous studios as Sun Studio, where Johnny Cash and Elvis Presley recorded their first records. Nashville is a must-see city, regarded as the centre of country music. Nashville has been an important city for most of country’s biggest stars, old and new. The region’s geography is also splendid, with scenery ranging from the famed Mississippi Delta to cotton fields and wooded hills in Tennessee, as well as the Gulf of Mexico. Visiting these states is an experience rich with sound and sensation. 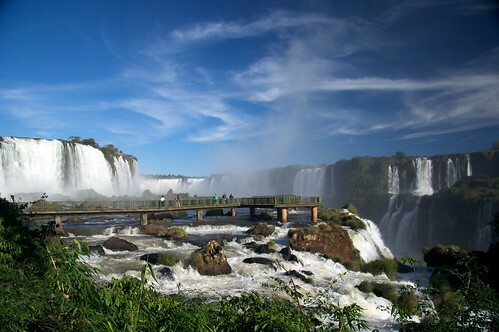 Newmarket Holidays offers escorted holidays during 2014 that allow travellers to explore the region’s mystique. Canada is the world’s second largest country by geographical size, lying behind only Russia. However, Canada is sparsely populated in comparison to the United States, its neighbour to the south. In fact, the population of Canada is less than a tenth the population of the United States. This is great for travellers who love nature because it means that most of Canada is composed of pristine nature. Cities in Canada usually match a bustling, lively feel with a reasonably small population, meaning that even they offer a less unpleasantly crowded feel than many other major cities worldwide. Canada is a great place to explore unspoiled nature, protected in national parks where wildlife sightings are far from unusual. A trip to the Canadian Rockies can be one of the most exhilarating journeys a traveller may make during his or her lifetime. While the Canadian Rockies are famous as a destination for mountain adventurers and winter sports adrenaline seekers, driving through the Rocky Mountains can by itself be an experience of a lifetime. Starting out exploring the Canadian West is best done by beginning in modern, cosmopolitan Vancouver, a city with some of the world’s best restaurants and a quality of life ranked higher than most of the world’s cities. Vancouver is also home to historical attractions such as the renovated area of Gastown and the English Bay area on the waterfront. Vancouver Island is just a ferry ride away; here the provincial capital of Victoria retains more of a Victorian, British quality than much of Britain does. Of course, the Canadian Rockies themselves are the main attraction. Whistler is among the world’s top destinations for winter sports and is also a popular mountain resort any time of year. From there, head to Sun Peaks and enjoy not only the wondrous natural beauty but also the alpine feel of the resort town. Entering Alberta, the Rockies become even more magnificent, with Jasper National Park holding some of the most remarkable scenery in the region. Taking a cable car to scale the mountains in Jasper is a popular activity for a reason: it provides incomparable scenic vistas to behold. The Icefields Parkway is a wonder all of its own, leading south, past the magnificent Lake Louise, on to the popular Alberta mountain resort of Banff, known for its shopping, dining and spectacular surroundings. Newmarket Holidays offers escorted holidays with real value-for-money to the stunning Canadian Rockies. The Isle of Man lies in the Irish Sea, between Ireland and Great Britain. This beautiful island is not part of the United Kingdom, proper, but the United Kingdom is responsible for foreign affairs and defence. As a result, the Isle of Man has its own parliament and government and is an associate member of the European Union. The island enjoys mild winters and cool summers. The average summer temperatures are comfortable, generally ranging between the low and mid-twenties in centigrade. The lowland areas can sometimes be enveloped by a thick sea fog known to locals as Manannan’s Cloak. This name refers to the Isle of Man’s ancient Sea God. The Isle of Man offers travellers the chance to experience various sorts of terrain, with a plain in the far north, hills in the north and south of the island, and a central valley. 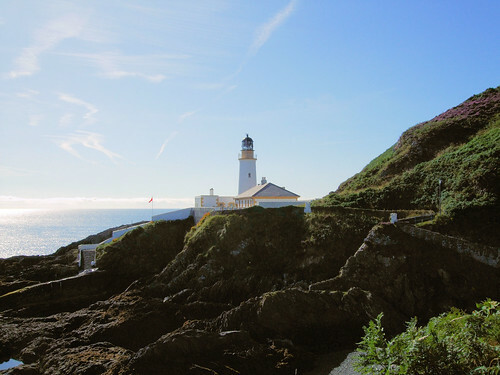 Travellers will find that the capital of the island, Douglas, is an ideal base for a visit to the Isle of Man. Douglas is a seaside resort that attracts travellers, but also retains its own identity as a busy harbour and a centre for finance. In Douglas, travellers can enjoy beautiful scenery and views of the sea. One way to do so is to take a charming horse-drawn tram. Escorted holidays such as those offered by Newmarket Holidays can be a terrific way to encounter the Isle of Man. The reason why such holidays may be a better option than going with a non-escorted holiday is that the Isle of Man is genuinely a place unto its own. For one, the Isle of Man has the oldest democracy in the world, as well as a variety of unique customs, fascinating folklore, and compelling history and heritage. Guided tours are great for getting to know a place better and a professional Tour Manager can really bring a destination to life for visitors. Travellers will enjoy visiting the largest surviving water wheel in the world, Laxey Wheel, as well as visiting the port of Peel. Peel is an especially compelling place to visit while on the Isle of Man, as it is famous for its history, surviving in the form of its Castle and in the form of Grove House, a Victorian-era villa now converted into a museum. Peel is also home to tasty Manx kippers. Other top attractions include the views at the Calf of Man, located at the island’s southern tip, and Castletown, once the island’s capital. Paris is one of the world’s most famous cities, a destination for travellers from across the world. During the summertime, Paris is especially irresistible. Paris is k nown for its beautiful architecture, its lively streets and its many sites of historical and artistic interest. The city is truly cosmopolitan and bustling, with nearly 12 million inhabitants in the larger metropolitan area. Paris is no mere historical attraction, however, remaining as romantic and beautiful as ever and retaining influence all over the world in design, culture, fashion, food and art. As the home of numerous top brands in fashion and cosmetics, Paris is also a great place to shop. Dining is another exceptional element of Parisian life, as the city is home to not only a large number of Michelin-starred restaurants but also many more down-to-earth bistros serving delicious food. Of course, Paris also has many iconic landmarks for travellers to explore, which is why, in combination with all the other features mentioned above, it is the top destination for travellers anywhere in the world. Paris has approximately 45 million travellers discovering its pleasures each and every year. Since Paris is so large and busy, an escorted holiday can be one of the best ways to encounter Paris for the first time, or even on a return visit. Newmarket Holidays, a leading company of its kind in the United Kingdom, has been taking travellers on memorable escorted holidays to Paris since 1983. With that much experience, the company knows how to guide travellers to an optimal experience of Parisian life and culture. The glamorous capital city is truly beautiful in the summertime. Going there and simply basking in its atmosphere might be enough for some people, but the experience really should take in the greatest sights the city has to offer. These include the Champs Elysees, Notre-Dame, the Louvre, the Left Bank and the most visited site in the world: the Eiffel Tower. Of course, travellers may also want to take in the famous Palace of Versailles, or tour the Latin Quarter and take a cruise on the Seine River. Fans of the highly regarded Impressionist painter Claude Monet will want to visit his home and gardens, which are both culturally important and simply beautiful. Monet’s home and gardens are located in the Normandy countryside, known for its beauty and charm. Seeing the great sights of Paris and the surrounding area can truly be an exceptional experience. The Netherlands, known commonly in English as Holland (North and South Holland being two of its provinces), is a picturesque, small country that has Belgium on its southern border and Germany on its eastern border. Holland is a densely populated country, small but with a population of 16 million. The country has a great history as a naval power and has produced cultural artifacts and figures that are regarded as among the most important in world history. Holland is especially well-known for its painters. The landscape of Holland is flat but picturesque and with rural charm outside the sophisticated, cosmopolitan cities. Windmills and clogs are also things that Holland is famous for. The urban side of Holland reflects its status as a modern, international, cosmopolitan European country with a liberal mentality. Holland is a founding member of both NATO and the European Union. The International Court of Justice, famously, is located in Holland in The Hague. This fact reflects the status of Holland as being an important player in international cooperation and international relations. What really attracts travellers to Holland is the friendly, welcoming attitude that makes travellers feel at home although they might be from far away. The small size of the country and its many sights also make it appealing to travellers, whether for a quick getaway or as an addition to a more extensive tour of Europe. Holland is a very colourful country, and summertime gives travellers the chance to see its colours, hopefully shining in the summer sunlight. Amsterdam is the country’s most famous city, well-known for its cafe-bars, canals and cobblestones. The ‘Venice of the North’ is also famous for its colourful flower market. The seat of Holland’s government is at The Hague, and guided walking tours are recommended for travellers who wish to learn more. The Peace Palace, the famous Mauritshuis museum and the historic Binnenhof parliament buildings are well worth seeing. Travellers can also explore popular seaside resorts and rural areas dotted with many windmills. An escorted holiday such as those offered by Newmarket Holidays in the summer of 2014 is a great way to get to know Holland. A quality escorted holiday at a good price will cover most of the highlights of Holland in a comfortable, informative way. Newmarket Holidays is one of the top companies of its kind in the United Kingdom, offering escorted holidays since 1983. That means that Newmarket Holidays has 30 years of experience in arranging comfortable, satisfying holidays that bring to life top destinations in the United Kingdom, Europe and elsewhere in the world. The 2014 Faraway Worldwide Holidays collection from Newmarket Holidays is particularly exciting. Newmarket Holidays fully understands the personal value of a trip to destinations like New Zealand, Japan or India. Making it to a faraway destination, understanding the cultures and experiencing the natural beauty of these places may very well be a once-in-a-lifetime experience for most people, including veteran travellers. That is why Newmarket Holidays works hard to ensure a carefully operated, well-organized holiday that truly brings the destination to life with the help of comfortable accommodation and transport and professional Tour Managers. An ideal escorted holiday should offer travellers genuine value for their money, as well as comfort and well-planned, exciting itineraries. World-famous sights including the Taj Mahal, the Terracotta Army and the giant statue of Christ above Rio de Janeiro deserve not to be spoiled by poor planning or uninformative guides. The years of experience that Newmarket Holidays has in planning escorted holidays mean that the company is capable of doing justice to the destinations travellers are going to. All escorted holidays provided by Newmarket Holidays to faraway destinations include return flights and use non-stop direct flights if at all possible.. The flights are all with well-known, reputable airlines to ensure safety and comfort. Economy Class tickets will provide comfortable seats as well as included meals, so reaching the dream destination is done in comfort. Newmarket Holidays distinguishes itself from other companies by its ensuring that the accommodations included are of a good standard. The traveller’s enjoyment of the holiday is an important aspect of customer service and Newmarket Holidays truly respects the necessity of good customer service. It is vital that travellers with Newmarket Holidays are able to retreat to a comfortable hotel at the end of an exciting day’s itinerary, which is why all hotels chosen are reputable, either quality local hotels or established, well-known chain hotels. A relaxing and informative experience is what a Newmarket Holiday escorted holiday is all about, leading to an enriching and truly enjoyable experience. While Newmarket Holidays provides customers with real value and quality even for holiday destinations within the United Kingdom, it also offers escorted holidays of the same value and quality to faraway destinations. These faraway holidays allow customers to explore the world with good company on a good-value break. Newmarket Holidays can offer travellers escorted holidays to destinations that are among the most remarkable and exciting countries in the world. These are countries that are on the must-visit lists of most travellers, because they provide so many interesting and special experiences. Newmarket Holidays is one of the largest companies of its kind in the United Kingdom. It has also been honoured for the quality of its services, receiving several industry awards in the UK. Newmarket Holidays is a trusted name with 30 years of experience as a tour operator. Some of the most exciting and noteworthy locations on the Indian sub-continent are visited by three tours Newmarket Holidays has arranged. Other arranged tours include explorations of China, Japan, and South East Asia, places known for their mysterious and magical feel. Outside of Asia, Newmarket Holidays is offering journeys through the remarkable landscapes found in New Zealand. The company is also offering memorable visits to the extraordinarily vibrant South American countries of Brazil and Argentina. These holidays are all notable for their excellent value and good quality of accommodation. Being escorted holidays, it is of primary importance that itineraries are consistently interesting and exciting. Newmarket Holidays understands that this is the case, which is why the itineraries for these holidays are packed with fascinating highlights. Professional and courteous tour managers will be on hand to answer any questions and to give travellers a good understanding of the countries visited. All Newmarket Holidays Faraway Worldwide holidays include return flights, comprehensive itineraries, tours, and professional tour managers. Travellers also have the chance of going on further, optional excursions, all at genuinely good value, within many of the holidays. Millions of customers have enjoyed escorted holidays provided by Newmarket Holidays over the last 30 years. The company places good value and genuine care for its customers at the top of its list of priorities. The Faraway Worldwide selection of tours is just one more way that Newmarket Holidays is finding to strive to provide customers with the best holidays it can.